Bullying has unfortunately become more frequent in our society. Many of us associate bullying with children and youth, and while it is very prevalent in these demographics, it can also occur at any age, and in any setting. Work place bullying and cyber bullying can occur far more often than many of us realise and it can be very damaging to our mental health. Firstly, it is important to understand what bullying actually is. The oxford dictionary defines a bully as “A person who habitually seeks to harm or intimidate those whom they perceive as vulnerable” 1. A survey of 1700 participants demonstrated that one in five workers have experienced work place bullying 4. Cyberbullying rates are on the rise, with all age groups being susceptible. It is believed that younger age groups are more likely to experience cyber bullying with approximately 46% of 18-19 year old’s experiencing some form of digital bullying 5. Bullying has become a daily struggle for many individuals, and its impacts can be far reaching. In the Northland, Whangarei and Auckland areas, the suicide rates have increased, so much so, that the highest number of suicides was recorded in the 2016-2017 year compared to the last ten years. The highest proportion being those under 24years old 6. 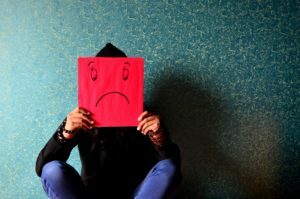 There is numerous research that link bullying with a range of mental health issues, such as, lower self-esteem, higher rates of depression, stress, feelings of hopelessness and a higher probability of self-harm or suicide. For many individuals, frequent bullying can leave them feeling alone, victimized and with no options left to escape the threatening and abusive behavior. This may lead to an increase in suicidal or self-harming thoughts and tendencies 7. In our youth, lower school performance, lower academic performance and lower school spirit has been linked to those who are bullied, both in person, or through digital media. This may lead to further social withdrawal and unwillingness to participate in social events which may continue to translate into adult life. Many people who suffer bullying in school or high school believe that bullying had an impact on their mental health, and that this continued to impact the rest of their lives. However, with the likes of work-place bullying and cyber bullying, anyone can be vulnerable, and unfortunately, those who have been targeted in the past are more likely to be targeted by others as they seem to be “easy marks”. Low self-esteem and a history of not standing up for oneself may contribute to this. Along with depression, anxiety, low self-esteem and self-harming, a higher prevalence of psychosomatic problems can be evident. Psychosomatic problems are physical symptoms or ailments which are caused, aggravated or associated with mental factors. This can include many complaints ranging from skin disorders such as eczema and psoriasis, to heart issues and high blood pressure, to irritable bowel like symptoms. All of these issues can translate into lifetime problems and will continue to have an impact on a person as a whole. Unfortunately, this can cause a vicious cycle as some of these symptoms are visible or noticeable in everyday life and can cause an easy reason to be bullied (this is more obvious in children and youth). This in turn can make depressive and anxious thoughts increase which can then worsen visible symptoms. A good example of this is any skin conditions. It is easy to judge a person who has a visible rash or skin irritation, for which they are already feeling self-conscious over, however, actively criticising someone for it will only intensify these feelings and could therefore, make the rash more inflamed 8. Being a victim of bullying of any kind can also increase the chances of substance abuse. The more common substances abused in these cases is usually alcohol and marijuana. We already know that there are implications for both our mental and physical health with bullying, however, when we add a substance abuse issue, the impact on our mental health multiplies. Along with our negative thought patterns, we now also have an addiction to battle. Often victims of bullying will turn to these substances to escape from their reality and numb or dull these thought patterns. However, the addiction itself can encourage and strengthen these patterns. This behavior is anti-social and will withdraw the individual further, causing less motivation to engage in social interactions and decrease general day to day function. This will also have an impact on any positive and supportive relationships that are in their lives, and therefore can become self-destructive 9. Bullying is a global issue which seems to be prevalent in many different societies and cultures. As a whole, we are more aware of bullying, and more attention, time and effort is being put into creating healthier environments and relationships. On a personal level, there are some small changes that you can make to allow you to feel safer and encourage you to regain some of your power, confidence and self-esteem. Stay Safe. As soon as you are uncomfortable and don’t feel safe in a situation, leave. Engage the help of others whether that be in the form of law enforcement, help hotlines or friends and family for support. They are all there to help you. Keep your distance. Where possible don’t engage with your bully, they are not worth your time or your energy and your self-worth is not tied to their opinions of you. Communicate. Talk about your experiences with those that you trust, a hotline, therapist, colleague, friend or family member. Suffering in silence only increases those negative thoughts. If you remain quiet about the bullying you’re experiencing, it can encourage the bully to repeat and intensify the behavior. Knowing that there is no consequence to their actions can mean the bully only escalates the abusive behaviours. Talking to someone about your experiences is a great stress relief for you but can also better equip you to deal with these actions. When interaction between you and your bully does occur, keep your cool. Reactions are what bullies thrive on. Think before you react, whether it is with a clear, concise response or simply keeping your composure, bullies are thrown off balance if they don’t receive the reaction they expect. This is not to say that you allow them to do what they like to you and you give no response. You can stick up for yourself, but responding in anger or embarrassment is the reaction they expect. In workplaces, it is important to recognize when bullying is occurring. When you realise that this is happening, put some barriers in place to safe guard yourself. Where possible, have a third-party present throughout your interactions with your bully and use formal communication through written media – there is a paper trail that can always be looked back upon 10. Of course, these points don’t apply to everyone or every situation but they can be some good starting points. If you or someone you know is struggling with bullying, then please seek help. At the bottom of this article you will find links to several different places you can turn to for help. For help with some of the mental health side effects of bullying, reach out to our Therapists at Shore Therapy for some professional help. 5 Steiner-Fox, H. W., Dutt, S. J., Christiansen, S. J., Newton, H. J., Matika, C. M., Lindsay, C., Sare, M. H. , Kapeli, S. A., & Stronge, S. (2016). Rates of cyberbullying among women and men in New Zealand in 2015. NZAVS Policy Brief, 3.